This list includes more than 26 of Haruki Murakami’s short stories, essays, and interviews. You’ll find links to The New Yorker and other online publications that date all the way back to 1990. 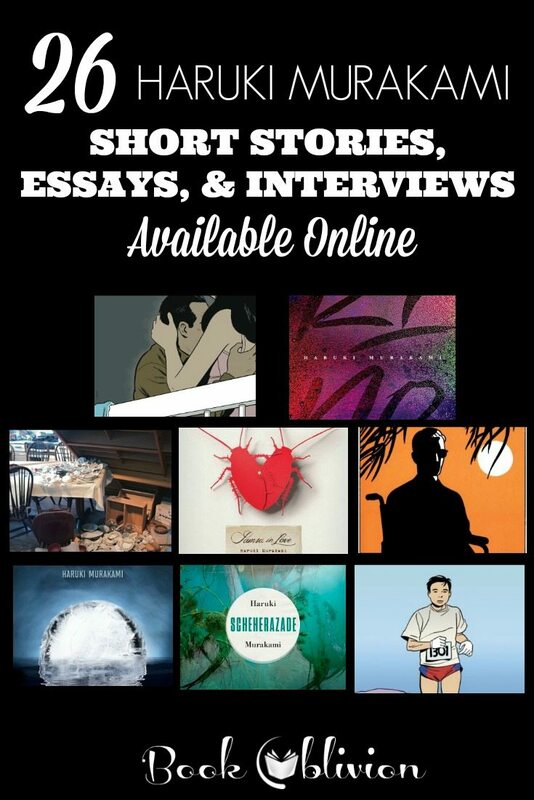 These Haruki Murakami short stories and essays are available to read online for free. Keep in mind, if you don’t have a subscription to The New Yorker, then you are only able to read 6 stories per month for free. That is their limit, which is pretty generous. As most fans and students of Murakami know, many of these stories find their ways into his longer works. They do stand alone and are fun to read independent from the longer novels or short story collections. The interviews below are from a variety of different online publications. Reading Murakami’s short stories, essays, interviews, and advice column is only the beginning. Book Oblivion is offers an online course series that explores the theories and philosophies behind each of Haruki Murakami’s bizarre worlds that we know and love. Participants explore everything from magical realism to psychoanalysis to deconstruction to hyperreality to time to mythology and everything in between. If you’re not sure where to start, check out The Best Way to Read Haruki Murakami and join our Murakami Reading Group to read and discuss Murakami with like minds from all over the world. As you probably know, this list is far from exhaustive. I also really appreciate the speech Murakami gave in Jerusalem while accepting the Jerusalem Prize for Literature, “Always on the side of the egg” and his more recent comments in his acceptance speech for the Hans Christen Andersen literary award, “Haruki Murakami cautions against excluding outsiders.” I’d love to hear your thoughts on these speeches or any of Haruki Murakami’s short stories, essays, or interviews listed above. Keep in mind, The New Yorker has a student and educator discount as long as you have a valid .edu email address. This will give you access to their digital archives and newly published print magazines. You can find out more HERE.